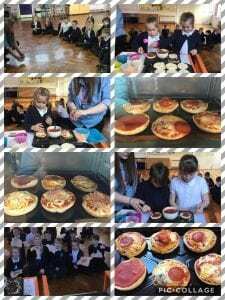 Today in golden time class 3 made pizzas to tie in with our Geography topic (Southern Italy) and with our Maths topic (fractions). They were delicious! 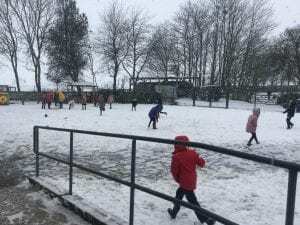 Class 3 couldn’t resist going out in the snow this afternoon! Yesterday afternoon the whole school looked at the topic of money. Class 3 read a short story and discussed the importance of money. We took a quick quiz to test our knowledge of what we already knew. Then, we created a saving plan for the character in the story. We chose one item and any extra items we would need. 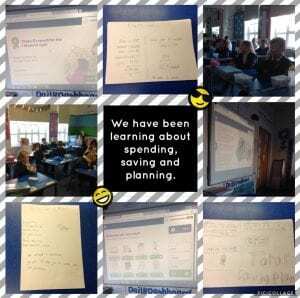 Afterwards, we worked out how many weeks pocket money we would have to save and how many chores we would have to do to purchase our own item. 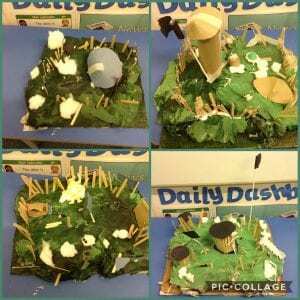 Today in Class 3 we made Hillforts for our History and DT topic where we have been learning about the Stone Age and Iron Age. Look how well our Hillforts turned out! This term we have been learning the recorder, taught by our music teacher Miss Casewell. 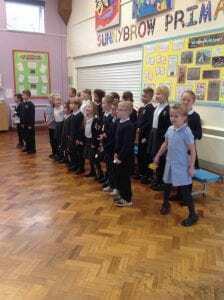 Class 3 have been working so hard all term and finally got to show the rest of the school their performance today. 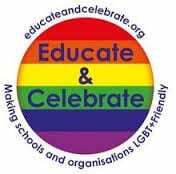 We are very proud of everyone involved! This afternoon we did some work relating to Parliament Week. We discussed as a class what we already knew about parliament, the PM and the laws in our county. 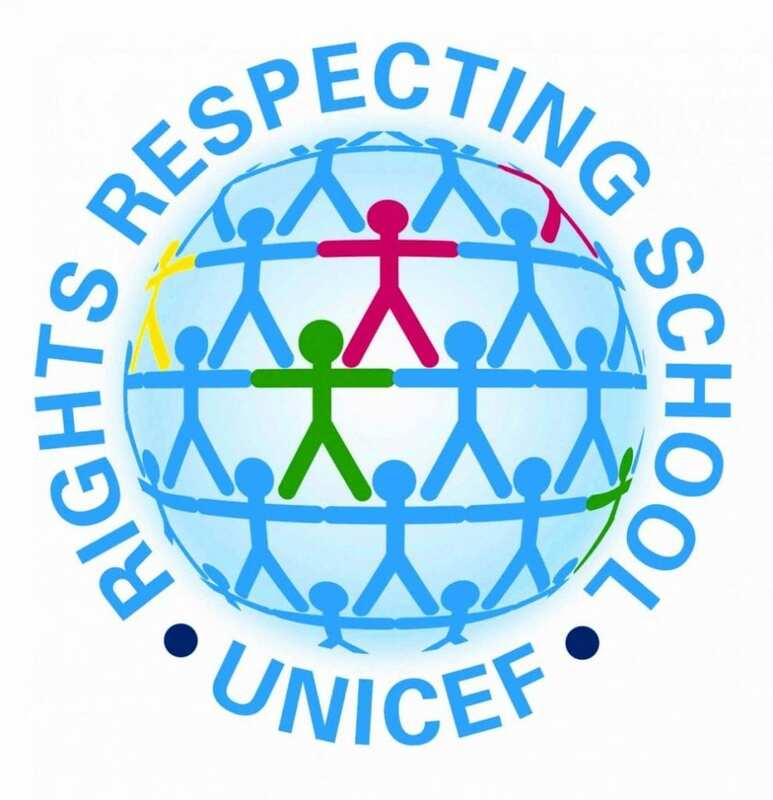 Then, we had debates about controversial topics, such as should school uniform be banned in all schools? There were quite a few mixed opinions! As it has been 100 years since women got the vote, we discussed equality between men and women and what it was like 100 years ago. 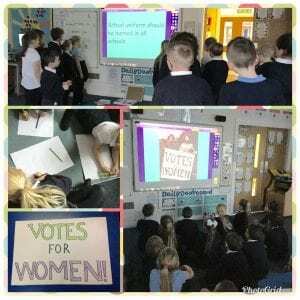 To celebrate the occasion, we created our own ‘Votes for Women’ banners. We have been practising our drama skills and learning about Romeo and Juliet. In the first scene, two servants (Gregory and Sampson) are arguing with a servant of the rival household (Abram). A fight breaks out between the rival families and the Prince has to break it up. We tried to decide what we would do as punishment if we were the Prince. Some suggestions were harsher than others! Then, we shared our ideas with the class. 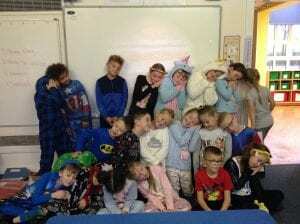 Today for Children in need, we all donated £1 to wear our pyjamas for the day. Class 3 decided to take a nap after their hard work this afternoon! During the first half term Class 3 learnt some fabulous dance moves from our dance coach Cain. At the end of term every group showed the class their completed routine that included different steps, jumps and spins. 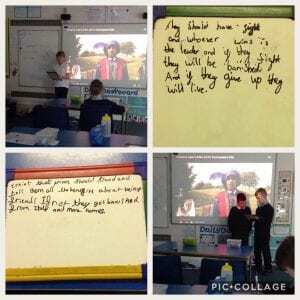 In History we have been learning about the Stone Age to the Iron Age. We discovered that Stonehenge was built during the Stone and Bronze Age. We were amazed to find out that over 100 huge rocks (called monoliths) were carried from across the country. It took over 1,500 years to complete! 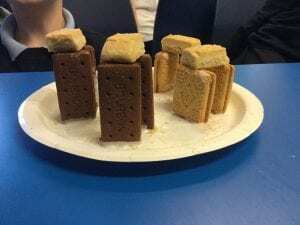 Then, we made our own Stonehenge from biscuits, we had to decide where each shape of biscuit should go in order to recreate the image. Afterwards, we got to eat our creation! 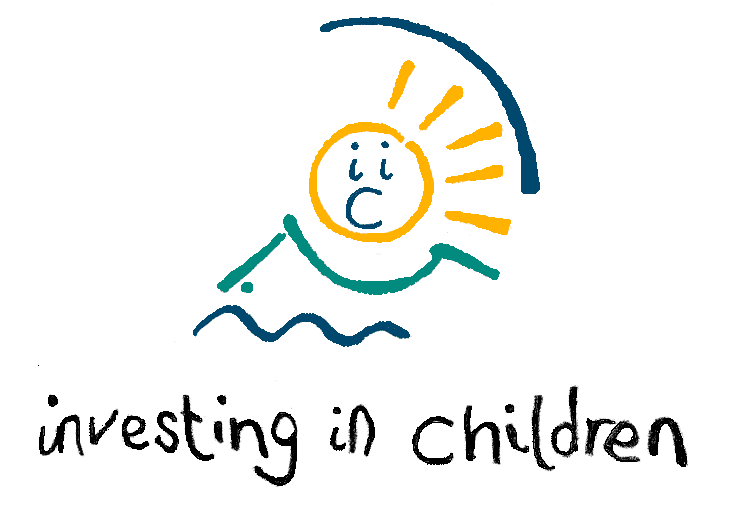 We will be adding our next information in the Autumn term.